In 2005, my idea of Street Galleries could be realized for the first time, in cooperation with above all Helsingin Energia (Energy Company), and the first year also UIAH (University of Industrial Art Helsinki) and Suomen Taidegraafikot. In the beginning of the 00’s, the idea of an art gallery outside, in town, came to my mind and became important. The city is covered with pictures – on bus stops, on tram stops, along the streets and roads. But all the pictures belong to the same category: it is the commercial advertisement that completely rules the visual space of the city, at least when it comes to two-dimensional pictures. The art pictures have for many years looked for ways to come out of the traditional galleries. Art pictures has longed for a place where they can meet the living city, the public, the people. 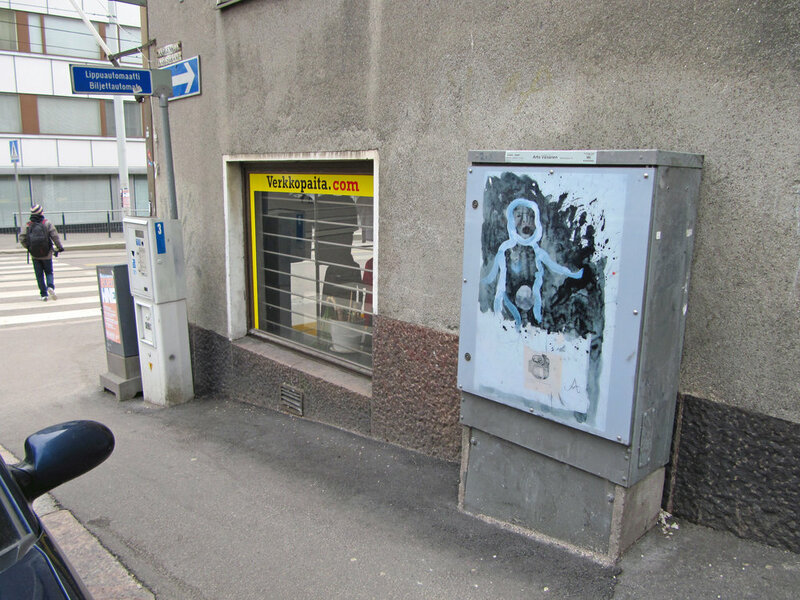 Through the Street Gallery project, art have a visible place outside, in Helsinki city. Twelve energy distribution boxes on Museokatu are covered with graphic art, twelve boxes on Eerikinkatu with photo art, and likewise twelve boxes on Fleminginkatu with drawings. My own part of this project has been choosing the theme of the year’s show, choosing the artists and art works, and coordinating the project, the contacts between the artists and the energy company. The Street Galleries (Katugalleriat) celebrate new openings every year in August, and after the openings the art of eight Finnish artists are shown night and day for one year.